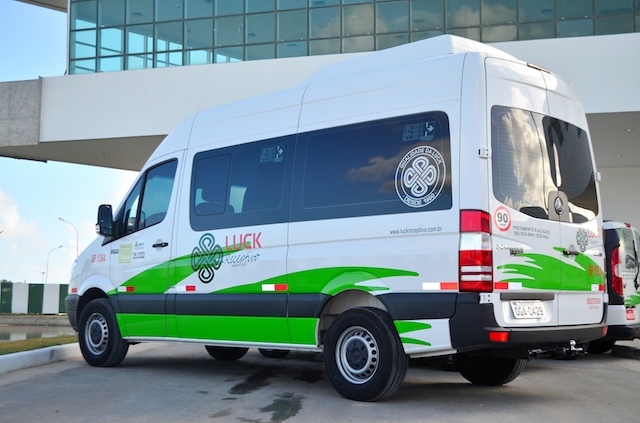 The official RoboCup 2014 reception agency, Luck Receptivo, can book your transfer (individual or in group) from the main airports (Recife, Natal and João Pessoa) to João Pessoa hotel area under special conditions for RoboCup participants. 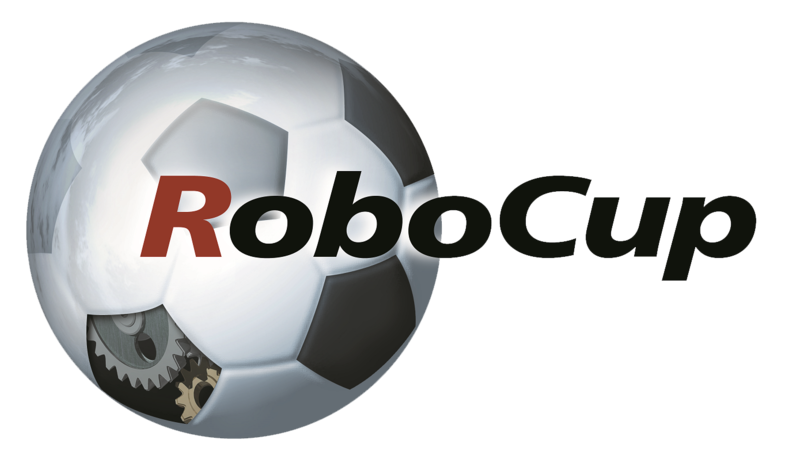 The authorized company is the only highly recommended by RoboCup 2014. Both Natal and Recife highways are doubled and in good conditions. There is no railway available. 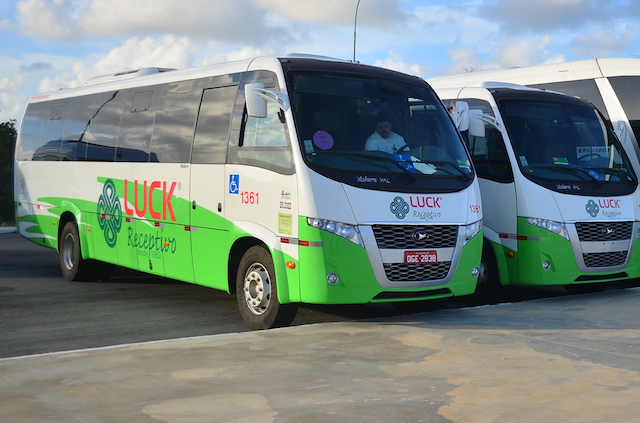 Luck is a third party service that works in Brazilian northeast cities since 1960, with more than 250 employees. All company drivers have defensive driving courses, and all vehicles for RoboCup participants have insurance for accidents covering passengers, third party, luggage, as well as liability insurance. 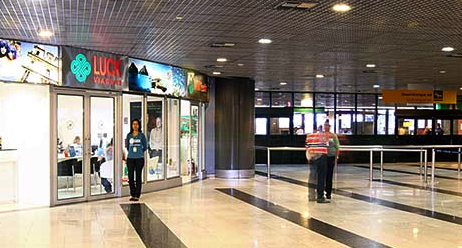 You can be assisted at the Luck store in Natal and Recife airports. RoboCup 2014 will have a special desk in João Pessoa airport to assist you. How to book your transfer? In order to book your transfer, please send an e-mail to RoboCup 2014 reception agency with the information bellow. All prices are shown in Brazilian Real (R$). You can convert to your own currency here. You share your vehicle with other people. 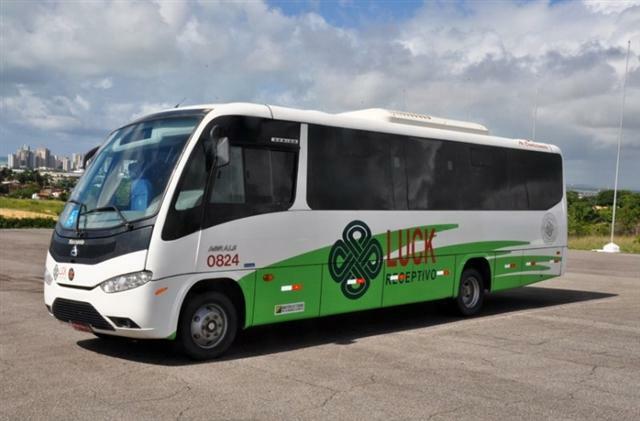 Luck will group people from near flights and select a proper vehicle. Values shown are for each way. R$150 per person. Service available only at July 18-19th (departure from airport) and July 25-26th (departure to airport). The schedule of departures will be confirmed. July 25th and July 26th. Departures at 04:30am and 05:00pm (João Pessoa to Recife). 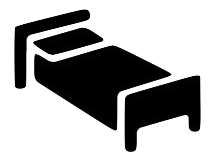 Your exact departure time will depend on your hotel. 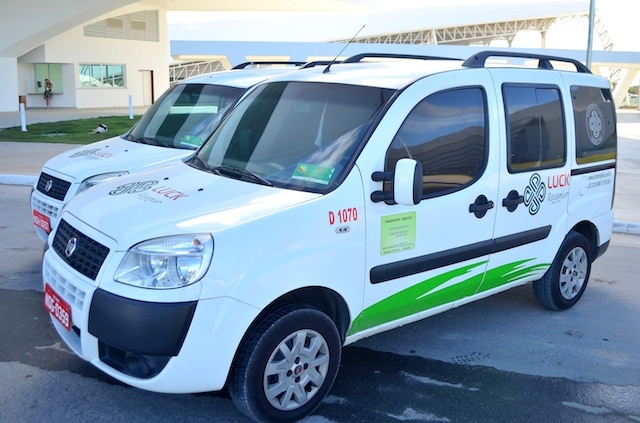 (*) Service value: R$35,00. Service fee: R$7,00. Total value: R$42,00. (**) Important information: a new international airport is under construction at São Gonçalo do Amarante (40Km northwest from Natal) and will be opened for de FIFA World Cup. The old airport (NAT) is scheduled to be deactivated in 2014 (no additional information is released until now). According to Brazilian laws, it is expressly forbidden to vehicles to carry a number of passengers grater than its capacity. If you are carrying luggage, robots and equipments, please consider if the select vehicle fits you and your belongs. 48 people Bus (Ônibus). 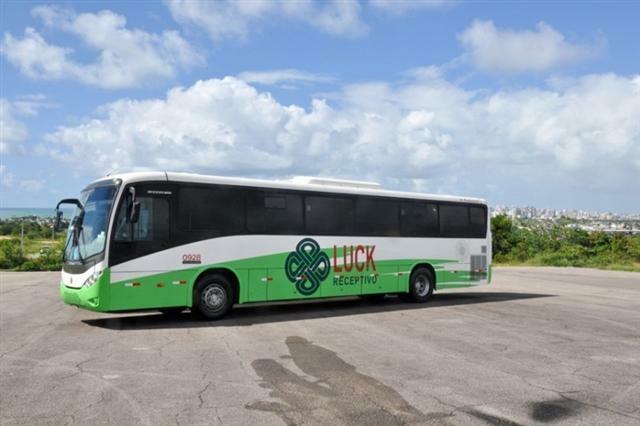 Executive bus with air conditioning, TV monitors, DVD, fridge, water, toilet, sound and microphone. 35 people Small Bus (Micrão). Executive bus with air conditioning, TV monitors, DVD, fridge, water, toilet, sound and microphone. 29 people Micro Bus (Micro-ônibus). 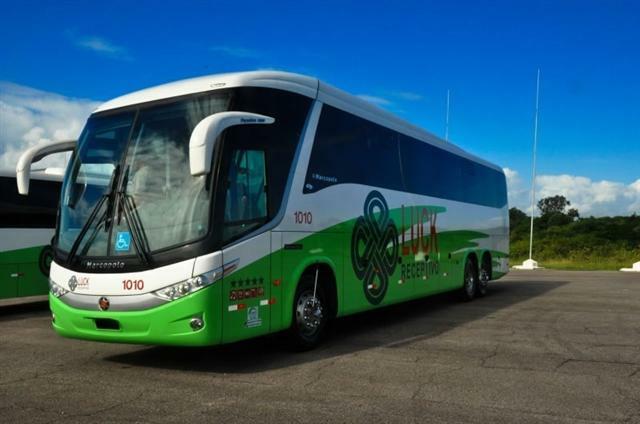 Executive bus with air conditioning, TV monitors, DVD, fridge, water, toilet, sound and microphone. 18 people Mini-Micro Bus (Mini-Micro). 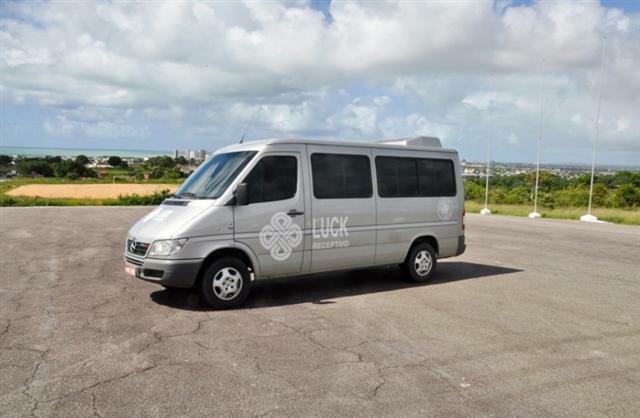 Executive van with air conditioning, TV monitors, DVD, fridge, sound and microphone. 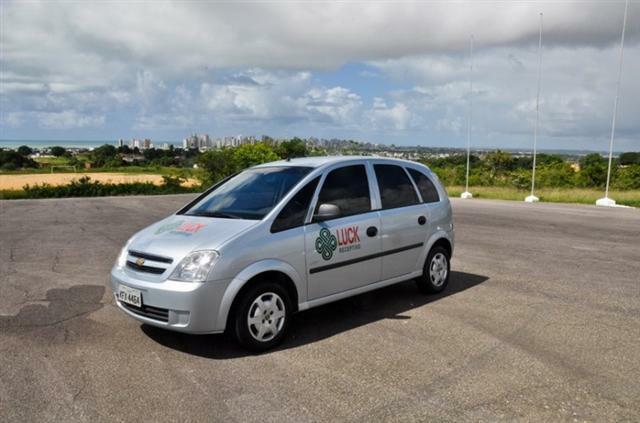 20 people Large Van (Van alongada). Executive van with air conditioning, TV monitors, DVD, fridge, sound and microphone. 15 people Van (Van). Executive van with air conditioning, sound and microphone. 06 people Doblo (Doblô). Equipped with air conditioning and sound. 04 people Meriva (Meriva). Equipped with air conditioning and sound. PS: The reception agency can also provide you tourist guide and interpreter. In these cases, you must consider these professionals in the maximum number of passengers of your vehicle. If you need additional information about this service, please directly contact our reception agency (in portuguese, english or spanish). They will be happy to help you. E-mails will be answered up to 48 hours. If you already contacted the reception agency and have additional questions, you can contact RoboCup transport coordination at transport@robocup2014.org .